I’ve lamented this before on occasion, but have luckily remedied my situation with the George Foreman grill. As of tonight I can tell you it’s going to be a delicious summer, outdoor BBQ or not. 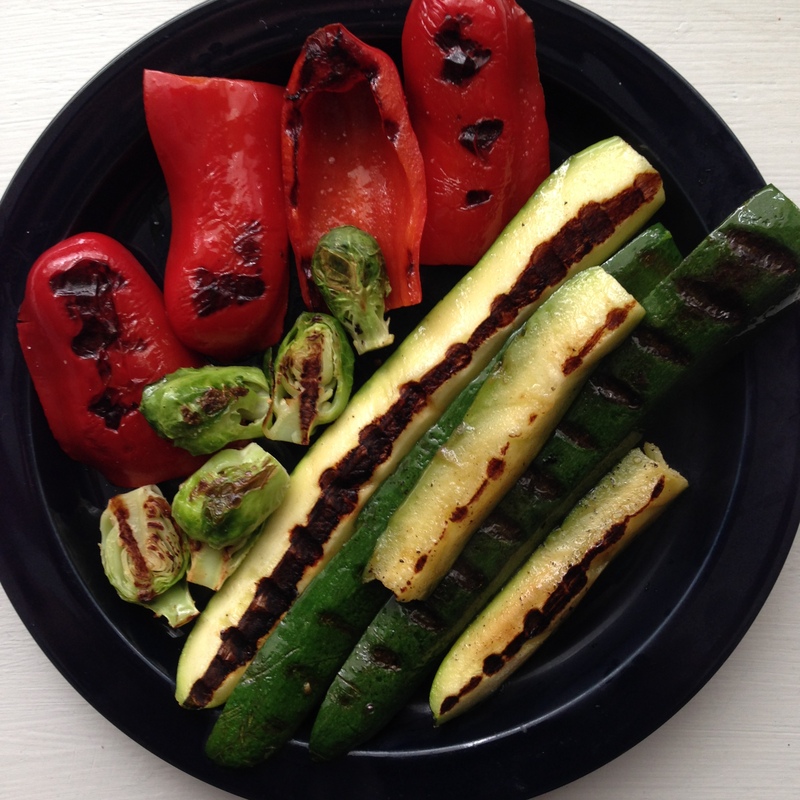 I grilled a red pepper, zucchini, brussels sprouts, and green beans, lightly brushed with olive oil and finished with our new Molten Hot Amola sea salt. 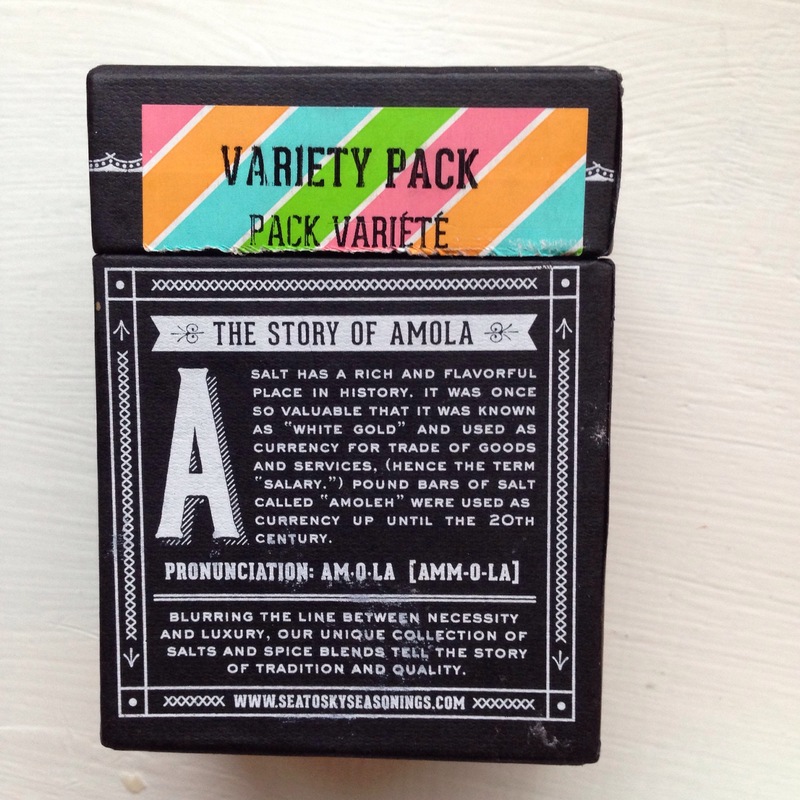 We picked up a variety pack at Portobello West craft market over the weekend, which included four finishing salts: Molten, Rosemary Garlic, Smokey Espresso, and Bacon. All are amazing, and well-balanced in fragrance and taste. You can find Amola Table Top Necessities For Land and Sea at many shops throughout the Lower Mainland, across the country and even south of the border. Start by heating two tablespoons olive oil over medium heat in a large pot. Add onions and saute until translucent. Add rice to pot and stir to coat with oil. Continue stirring rice as you add the white wine to deglaze the pan. Keep stirring until liquid has almost completely reduced. Now add half a cup of stock at a time, stirring until liquid evaporates before adding the next half cup. Repeat until rice is tender. Turn off the heat, season with salt and fresh ground pepper to taste, grated parmigiano, and gently fold in half the grilled vegetables. Cover with a lid and let all that cheese melt into the rice while you pull out your cutlery and plates. 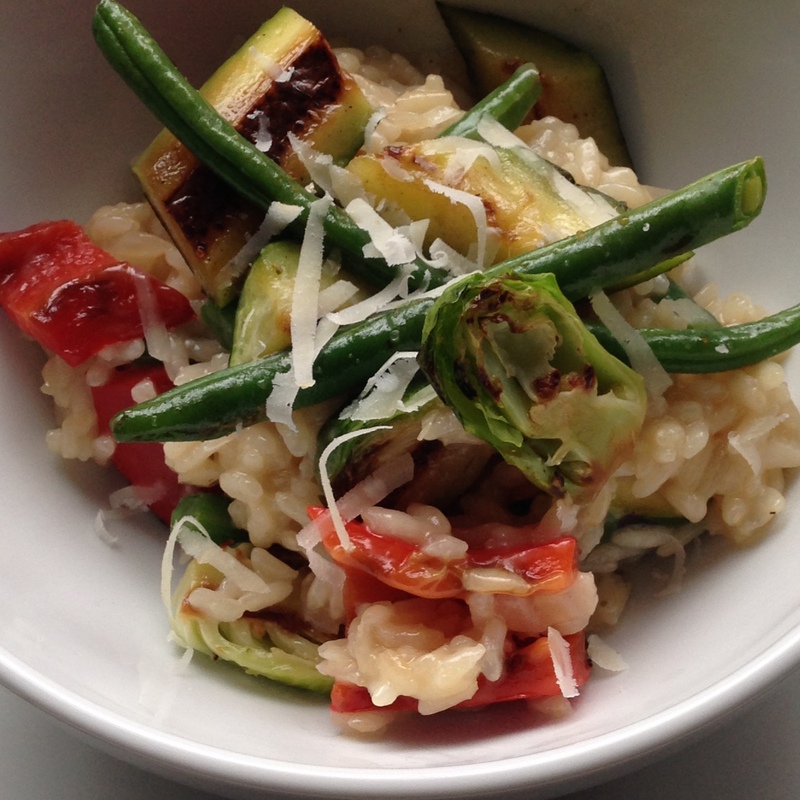 Serve risotto topped with more vegetables and another sprinkle of parmigiano (because why not).